The remarkable growth at the worldwide wireless device sales, together with the cost reduction of the subjacent technologies, has lead to a situation in which most of this type of terminals carry more than one interface to access the network, through potentially different radio access technologies. This fact has fostered the interest of the research community to address new solutions to exploit the possibility of launching multiple simultaneous transmissions through multiple interfaces. 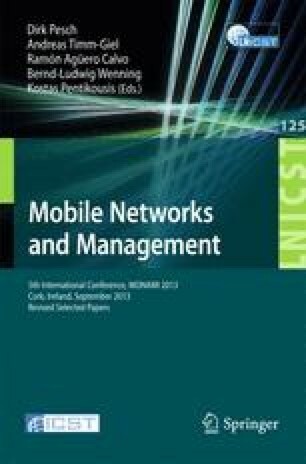 In this work we evaluate three different routing algorithms (link, node and zone disjoint) that aim to discover the optimal route configuration of disjoint paths over a wireless mesh network. We use the obtained results to evaluate, by means of simulation, the performance of the MultiPath TCP (MPTCP) protocol, which allows the simultaneous delivery of traffic across multiple paths, showing that the aggregated performance is significatively higher than the one achieved by the traditional single-path and single-flow TCP.